Futskills Academy Soccer Camps – Rochester Hills Michigan summer soccer camps for kids ages 3-16 located at Stoney Creek High School and Holy Family Regional School. Everything from introductory or open soccer camps that focus on fun to advanced, high-level elite soccer camps that teach campers how to reach the next level of their soccer training. Futskills even has a specialized Goalkeeping camp. 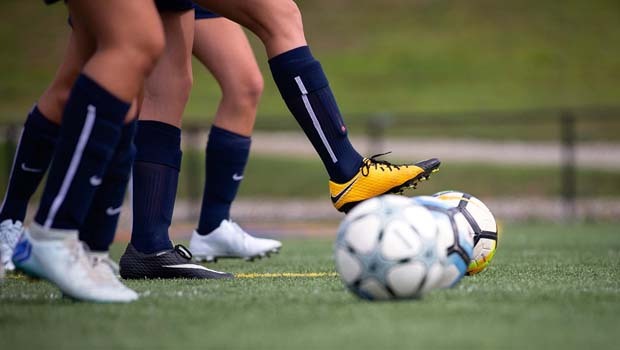 Futskills Academy Soccer Camps 2019 Discount Coupon – Sign up before June 30, 2019 and save $15 on any 2019 camp registration. To redeem the Futskills summer camp discount, please mention that you saw it on OaklandCountyMoms.com. Higher level soccer camp incorporating the elements of soccer that turn this camp into an immersion of athletic skill building. Individual professional photo poster, daily healthy lunches, youth nutritionist, speed, strength, agility, athletic yoga, footskills, goalkeeping & youth sports psychologist … all in one week of incredible soccer. Camp is “by invitation” & Futskills encourages all soccer players that want to participate to email a short soccer resume to SOCCER@FUTSKILLSBYTATI.COM for participation consideration. Sessions for young players ages 3-5. A creative approach to coaching these little stars to enhance their brand new skills. Campers should bring a water bottle, cleats, shin guards, sunblock, and a lunch for all-day campers (lunch provided for Elite camp). Futskills offers sibling and group discounts. Before care child care available. Register today! For more info on Futskills Academy Soccer Camps, visit futskillsbytati.com or call 586-321-9997.